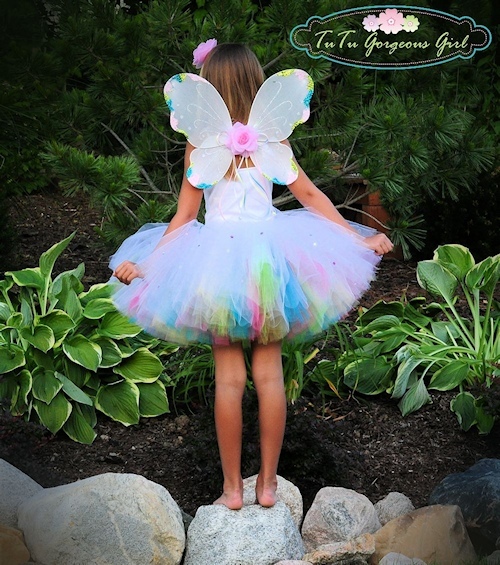 Pastel fairy tutu and wings sets for girls. 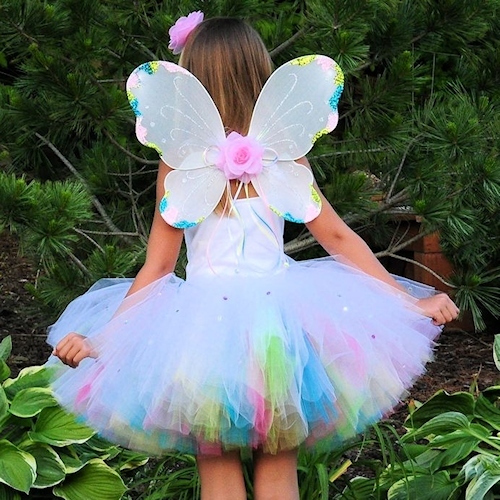 The Magic Rainbow layered tutu is a beautiful choice for a Halloween costume or Birthday girl. 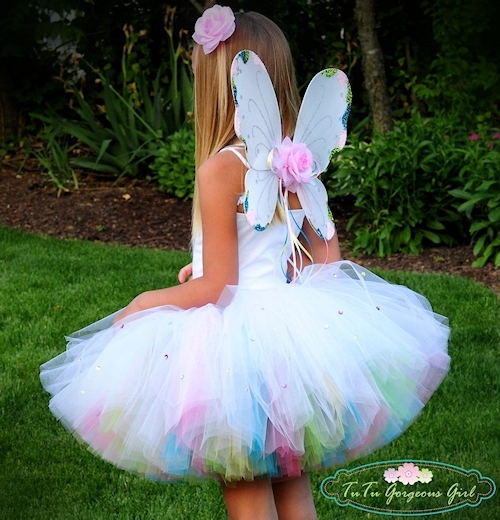 This gorgeous layered tutu is made with a top layer of white tulle. The bottom layer is made with alternating colors of yellow, turquoise, lime green and bubble gum pink tulle. The effect of the two layers is magical! The layered tutu can also be turned inside out so the brighter colors are on the top and the white layer is on the bottom. 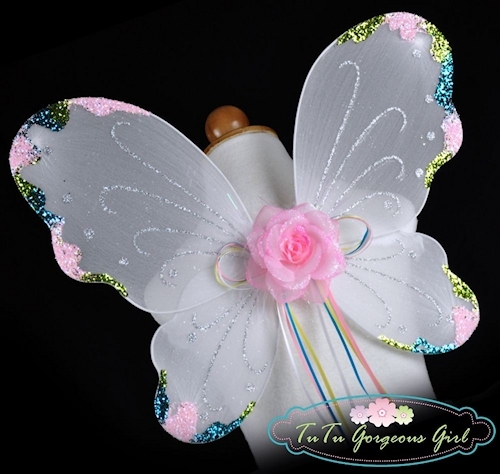 The wings are embellished with glittered tips, thin ribbon streamers and flower. Wing style and flower color may vary from the one's shown in the pictures depending on availability and your child's age/size. Other wing colors are also available.